This new anti-bacterial, synthetic-haired Taklon brush is softer and more absorbent and can be used with wet or dry products. Be a professional makeup artist and create a flawless look with this e.l.f. Studio brush! This thin pointed brush creates even and accurate color application in one fluid movement. 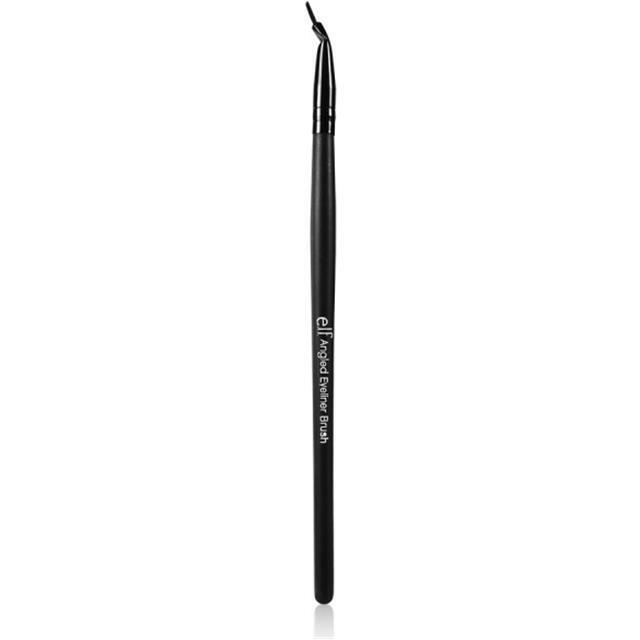 The perfect angled tip of the brush provides exact placement for concentrated color right up to the lash line. Use to apply eyeliner for perfect color application.